Robert Carmichael (pictured), president of diving equipment maker Brownie's Third Lung®, was making adjustments to a ship's 3,000-psi compressed air system when a threaded valve snapped. The compression line was not under full pressure at the time, but the chunk of metal flew just past his head. On inspection, he could see that the threads had failed, compromising the strength of the seal and putting stress on the valve body. Though Carmichael wasn't at fault, he viewed the experience as a valuable reminder about component quality and overall system design. Instead of brushing off the experience as a fluke accident, he reevaluated every design and manufacturing detail of the apparatus his company makes. Carmichael met with a range of marine company owners experienced in marine and industrial fabrication and builds. He needed to know who they trusted for fittings, valves, and other fluid system products. Would connections made with Swagelok components be leak-free? What about if technicians improperly installed the components? Could they be sure of timely supply? His firm couldn't miss customer deadlines—it would throw off entire ship-building schedules. Would going with Swagelok drive his costs way up? Swagelok offers several marine-certified services and components. Carmichael and his team saw first hand that Swagelok connections and tubes are completely leak-proof, even under immense pressure. The tube adapter fittings, which use a two-ferrule mechanical grip design, create a seal on the fitting body as well as the outside diameter of the tube as the nut is tightened. This leak-tight seal is also resistant to vibration fatigue. Carmichael also learned about the range of training options available, including the Swagelok Tube Fitting Safety Seminar, Swagelok Valve Installation & Maintenance Seminar, and many more. With comprehensive training on how to properly tighten these components and bend tubing for precise installations, the company would ensure that their connections are reliable and safe months before boats even entered the water. Carmichael also had Swagelok engineers review his company's multi-stage compressor assembly process. 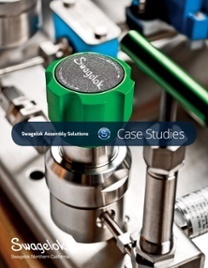 A Swagelok Assembly Solutions team observed that Third Lung adapts top-quality German-made compressors to handle harsh marine environments; this involves the lengthy process of removing any outer casing, as well as all brass and mild steel ﬁttings, tubing, and valves before replacing with Swagelok components. Our engineers were able to streamline the process, enhancing uptime. 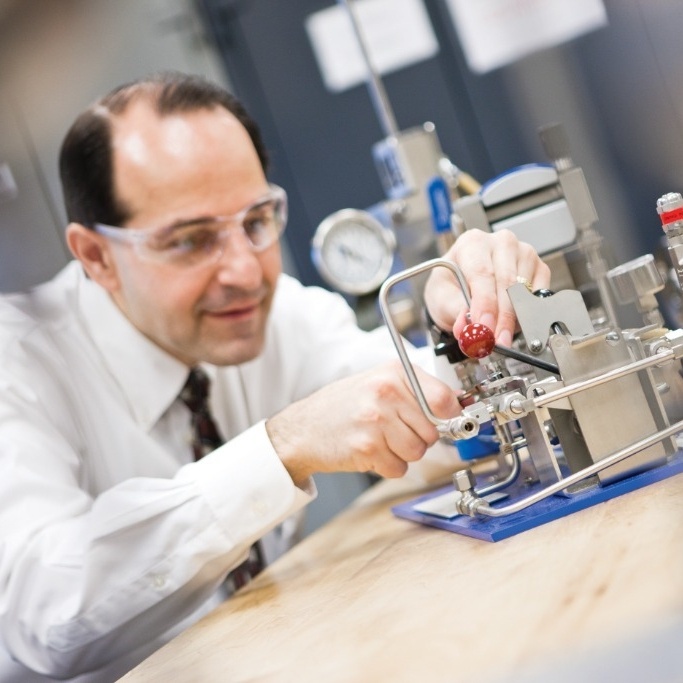 One way they did this was by developing prepackaged, custom-labeled kits of the assemblies and components needed for each particular compressor. As always, our assemblies arrived pre-tested, fully documented, and backed by the industry-leading Swagelok Limited Lifetime Warranty. Third Lung now makes use of Swagelok pressure gauges, pressure regulators, needle valves, bleed valves, tubing, ﬁttings, hoses, and quick connects — about 99 percent of which are stainless steel. (A few brass components are also used for low-pressure plumbing applications.) With Swagelok’s help, they are able to provide their customers with the highest-quality, safest products available. They minimized longer term maintenance and replacement costs by ensuring their panels were designed to have the fewest potential leak points and were built using the highest quality components. Simplify, speed up, and save. Get engineering and assembly help from our team.